The small island of Puerto Rico is renowned for many tropical luxuries: lavish resorts, endless sun, lofty palm trees. Topped with a bustling alcohol production industry, Puerto Rico naturally serves as a wildly popular vacation spot for tourists. But far from the pristine beaches and piña coladas lie significant challenges, and some have found their way to American concern. 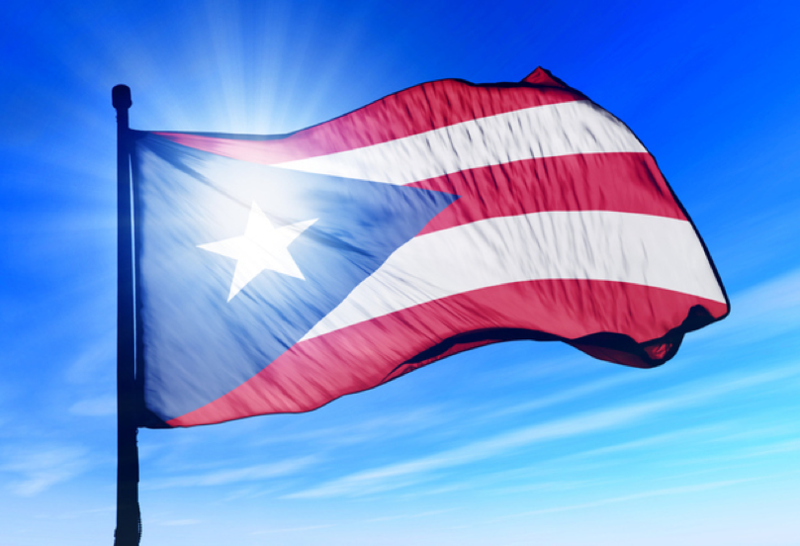 Last year, the US government overwhelmingly approved legislation to help ease financial turmoil from Puerto Rico’s economic crisis. The severe economic recession, which some experts have argued has lasted the past ten years, has caused the Puerto Rican government to default on some of its debt. The recent outbreak of the Zika virus also prompted experts, American government agencies, and journalists to examine the threat to the average Puerto Rican. Yet, one crisis has largely remained hidden from scrutiny: Puerto Rico’s energy deadlock. The average Puerto Rican has long understood the quiet suffering they’ve endured for years; extreme electricity prices in a country that harbors 45% poverty rate, nearly double that of the poorest American state. According to a report by the US Energy Information Administration, retail consumers in Puerto Rico pay far more for electricity than most other American states. The steep pricing, second only to Hawaii, is a challenge scarcely talked about. What’s driving prices so high? A limited infrastructure and a dependence on diesel fuel imports are certainly part of the reason, albeit common among Caribbean island nations. But Puerto Rico’s most persistent and rectifiable problem appears to be mismanagement, and an adherence to traditional practices. Puerto Rico’s energy sector is ruled by an energy monopoly plagued by disorganization. The Puerto Rico Electric Power Authority (PREPA) is the sole provider of electricity for the majority of Puerto Ricans. Older than Puerto Rico’s democracy, PREPA is in fact one of the largest public utilities in the US, ranking number one in client count. The utility company has consistently struggled with its own debt and fiscal decisions, rendering it unable to modernize the island’s aging infrastructure or provide affordable prices. As Solar Magazine reported, employment at PREPA has been traditionally allocated largely to significant supporters and family. Salaries and benefits are uncharacteristically high, higher than similar positions in the private sector, while actual duties are simultaneously less than what is expected. Consequently, PREPA has been slowly overwhelmed with overhead, such as accrued pension liabilities. A majority of the money raised for modernizing the utility infrastructure has instead been spent on pension obligations, among general operating expenses and its outstanding debt. Puerto Rico is currently more than $70 billion in debt, and the largest block is owned by PREPA. That is nearly $9 billion of debt. And here’s the kicker: PREPA doubles as a state regulator, so renewable energy companies have to apply to PREPA for grid connections, licenses, even permits. While solar energy would bring the price of electricity down for customers in Puerto Rico, PREPA has been hesitant to cut revenue or shrink its customer base. PREPA’s struggle with debt and mismanagement has heightened the utility company’s sensitivity towards renewable energy. Up until 2012, solar installations were nearly nonexistent. However, there’s hope for the future. From 2012 to 2015, solar capacity in Puerto Rico increased ninefold. In 2014, PREPA reached an agreement to work with renewable energy companies, and the inclusion of the new providers is projected to ultimately reduce monthly electricity bills for customers. Companies can also now circumvent PREPA if they enter an agreement directly with significant bondholders of PREPA’s debt. As customers look towards solar energy to drive their prices down, utility companies are learning to adapt. Even in the continental US, traditional utility companies are starting to get more interested in solar. For an island that struggles with poverty, high electricity prices have only been adding to the anguish. PREPA has sought help from bondholders and alternative energy providers, and time will tell if their business practices will continue to improve. Customers in Puerto Rico and across the US have been pushing for non-traditional sources of energy, a sign that the future is nearing. Spot on with this write-up, I truly assume this web site wants far more consideration. I抣l most likely be again to learn much more, thanks for that info.